Jupiter is transiting to your eleventh house. This is a very good placement. So, you will get very good results from this transit. The eleventh house is house of profits. 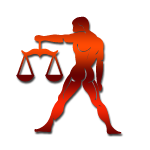 The Jupiter’s placement in eleventh house will make you happy and gain more. You will get success in all your endeavors. Health will improve. Diseased ones will get cured now. There would be harmony in family. You would buy new jewels, lands, house etc. in this year. Your parent’s health also would improve. Income would be more than expected. Wedding bell would ring for the right people. Jupiter would be in Ketu’s star constellation in this period. This is a very good period for you. Health will start improving. Medical expenses will reduce. Your life style would change now. Businessmen will find right partners and gain more profit. Your children would excel in studies. Romance would be in favor. Jupiter would be in Venus’ star constellation. You will get good news from abroad. Some of you may travel to foreign land. You will gain more from other language people. Income would increase exponentially. Competitors in business will get out of the market. Jupiter would be in Sun’s constellation. Success continues in this period also. But there would be more expenditure in this period. Government employees will have good time. You would get promotions also this time. Separated couples would reunite now. Wedding bell would ring for your children. Jupiter would be in retrograde travel in Sun’s constellation. You will get your ancestral property. Business growth would be there. You will get new customers and contracts. Siblings would be having cordial relationship with you. Children need to be given extra care in this period. Friends would be helpful now. Builders would gain more now. But take extra care while travelling. There are chances for accidents. You would buy new house or land. Job seekers will find a suitable job. Students will perform well now. But avoid getting married in this period. You will get more gains this period. Especially who are having business with governments will gain more. Parents and siblings will have cordial relationship with you. Your boss would be favorable to you in work place. Some of you would travel abroad for higher studies. Businessmen would be having very good period. Romance would be in your favor. Spouse health needs to be taken care. There could be medical expense for them. Students will get educational loans to continue their higher studies. Legal issues will get solved. Farmers will have good cultivation and profit. Engineering students will have great year. Some of you will get job in campus interview. Those who aspire for higher education will get chance to go to abroad for higher studies. Women will achieve great things this year. Unmarried one will get married this year. Relationship with your in laws would be good. Economic growth would be there. Children would bring you success and happiness. You will get your ancestral property. Business people would be having golden days. All their stocks in the inventory would be sold out. Competition would be less. Customer base would increase. You would get new contracts and assignments. You may start new branch in nearby city. You would buy vehicle now. Artists born in this sign will have a great year. New opportunities would knock your door. Wedding bell would ring for the right one. Those who are suffering in the industry for a long time would breath freely now. Income would double in this period. Those who work in low budget movies will have success. Politicians will have very good year. Your image would increase among public. This would reflect in your future political career also. Those who contest in elections would get success. But there would be problem with children. Take extra care on your children. People born in Chitra nakshatra will have a great year. You will get succeeded in all your endeavors. Politicians would get great opportunities on your path. Health issues would be there. Romance would be in your favor. People born in Swathi nakshatra, will have very good year. You will gain assets and vehicles in this year. Some of you will get settled in abroad. Health will improve. Parent’s medical expense would increase. People born in Vishaka nakshatra will have a good year. Romance will be in favor. Health issues will not be there. Some of you will get male child this year. Business men will gain more. Wedding bell would ring for the right ones. It took me more than a day to finish this post. It only takes 1 second to share with others. Can you spend a second on sharing it? Click on any of the sharing button below.